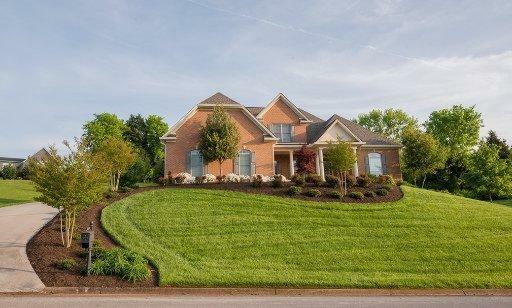 In this edition of the blog post series, “West Knoxville House Hunters: Waterfront Community Edition,” we will look at three different West Knoxville homes for sale located in waterfront communities priced below $550,000. West Knoxville has a wide array of waterfront communities that have beautiful views, community pools, community boat docks, among many other amenities. Features: This West Knoxville home for sale is located in the waterfront community, Mallard Bay. This all brick home has been kept in pristine condition and has a fabulous floor plan. The main level has beautiful hardwood floors and high ceilings. The kitchen is large with stainless steel appliances, granite counter tops, a center island, and tile back splash. The main level also has a family room, an office / living room, a formal dining room, and the master suite. The master suite has beautiful hardwood floors and trey ceilings. The master bath is large as well and has a jetted tub and large tile shower. In addition, this home has 3 more bedrooms, all with attached baths, and a large bonus room. This home also as a great backyard and covered porch. Features: This West Knoxville home for sale is located in the waterfront community, Montgomery Cove. This home has a fabulous, private backyard and a great porch to enjoy it. This home has beautiful hardwood floors on the main level land and open floor plan. The kitchen is huge with granite counter tops, black and stainless steel appliances, and a center island. The kitchen also has a huge pantry with tons of storage and a large breakfast area. The master is located on the main level, it has tons of natural light and hardwood floors. The master bath is large with a large tub, huge shower, and double sinks. In addition, this home has 3 more bedrooms, a large bonus room, and a three car garage. Features: This West Knoxville home for sale is located in the waterfront community, Montgomery Cove. With an open floor plan and tons of upgrades, this Montgomery Cove home for sale has so much to offer. The main level has a two story foyer, an office / living room, a formal dining room, and great room with vaulted ceilings. The kitchen has dark cabinets, tile back splash, granite counter tops, a center island, and an eat-in area. The master suite has tons of space and natural light. The master bath has double sinks, a jetted tub, and separate shower. In addition, this home has two rec rooms, a private, backyard with large deck, and three more bedrooms.